One of the most frustrating things about modern science is the often conflicting information on what is and is not healthy for us. Fad Diet A might be de rigueur one year, only to be swiftly booted by Superfood D the next year. 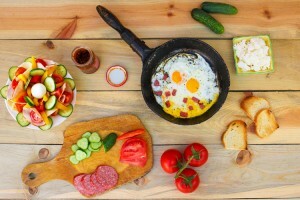 What has remained relatively consistent, however, is the endorsement of the Mediterranean diet. The Mediterranean diet is characterized by a high consumption of vegetables, whole grains and olive oil and moderate consumption of protein. It is believed that following this diet not only slows down the aging process and keeps weight gain at bay, but is also very good for the heart. 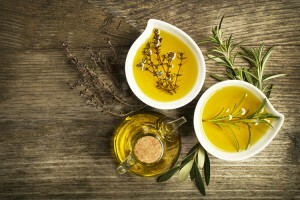 Olive oil is now widely regarded as one of the healthiest oils out there and for good reason. 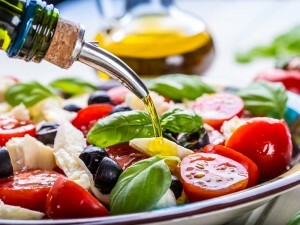 Olive oil is high in monounsaturated fatty acids (MUFA) and natural antioxidants. Scientifically speaking, Monounsaturated fatty acids (MUFA) reduce bad cholesterol (LDL) and triglycerides. A high MUFA content also helps prevent heart disease, high blood pressure and brain hemorrhages as the antioxidants present, possess anti-inflammatory properties and inhibit the thickening of arterial walls. Cardiovascular diseases (heart disease and stroke) are the most common causes of death in the world. However, various studies have shown that the incidence of heart disease is lower in certain populations, specifically in countries around the Mediterranean Sea. 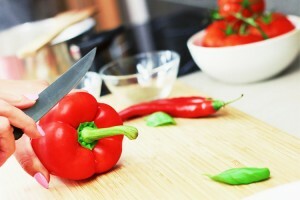 This observation is what originally spurred interest in the Mediterranean Diet in the first place. 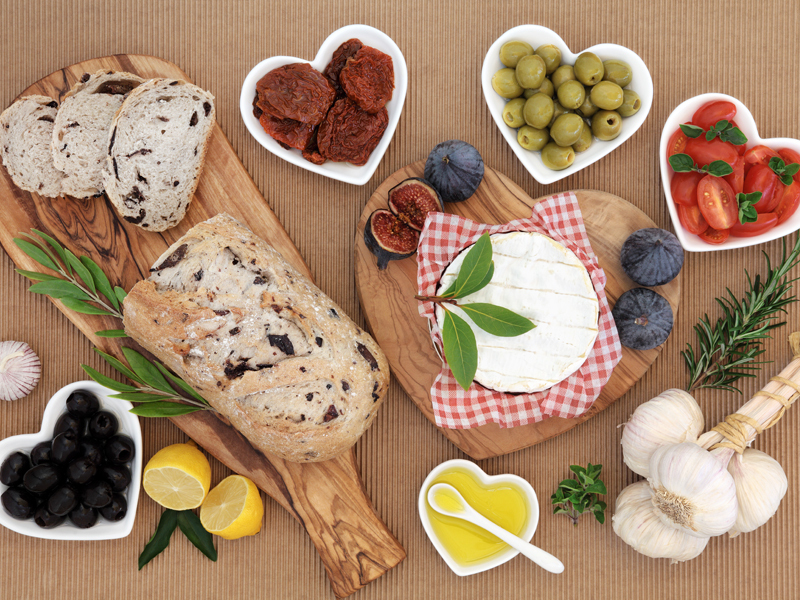 Studies on the Mediterranean Diet have consistently shown that following it can help prevent heart disease. In fact, one major study noted that the use of extra virgin olive oil in your diet can reduce heart attacks, strokes, and death by up to 30%. 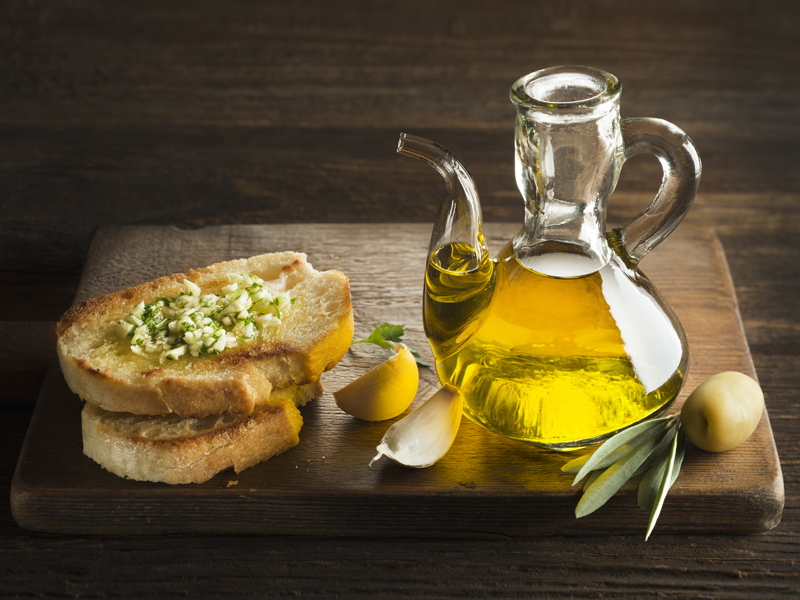 So what exactly is Extra Virgin Olive Oil (EVOO)? EVOO is the proverbial first flush of the olive oil world and great care is taken to maintain quality and consistency. The quality of olive oil production-especially the stage of pressing-really does make a difference when it comes to health benefits. Researchers found that consumption of EVOO lowered inflammatory markers in the blood, as opposed to non-EVOOs. 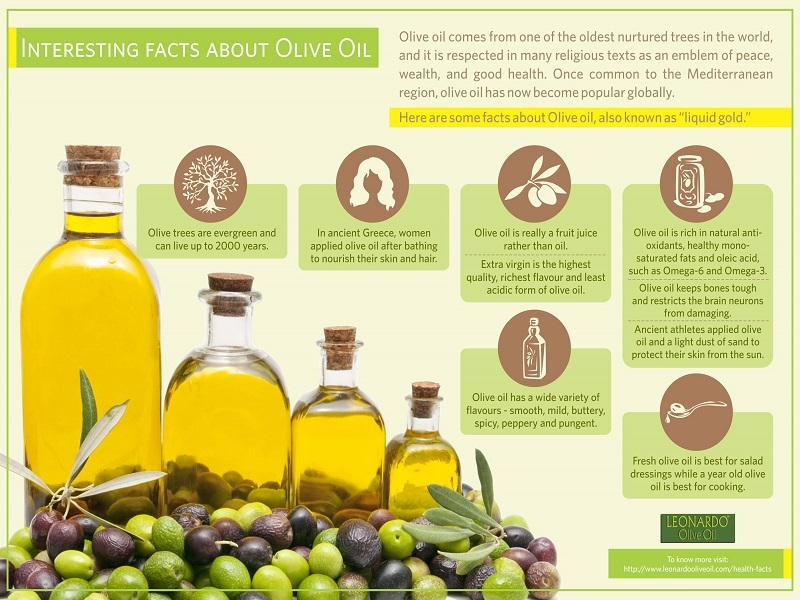 Extra virgin olive oil to help protect against unwanted inflammation is not surprising since EVOO is known to contain stronger concentrations of phytonutrients (especially polyphenols) that have well-known anti-inflammatory properties. Reduced Inflammation: as mentioned above, EVOO has been shown to protect against inflammation, a key driver of heart disease. LDL Cholesterol: EVOO protects LDL (good cholesterol) particles from undergoing oxidative damage – a key step in the heart disease process. Improved Endothelial Function: Olive oil improves the function of the endothelium, which is the lining of the blood vessels, by ensuring they remain neither too thin nor too thick (which affects circulation). Blood Clotting: Some studies suggest that consumption of EVOO can help prevent unwanted blood clotting, key cause of heart attacks and strokes. Olive oil also has numerous other benefits; including improved bone health, cognitive benefits, anti-cancer benefits, digestive benefits, etc., so while fad diets may come and go, there are enough reasons you should continue to stay in the olive oil fan club.